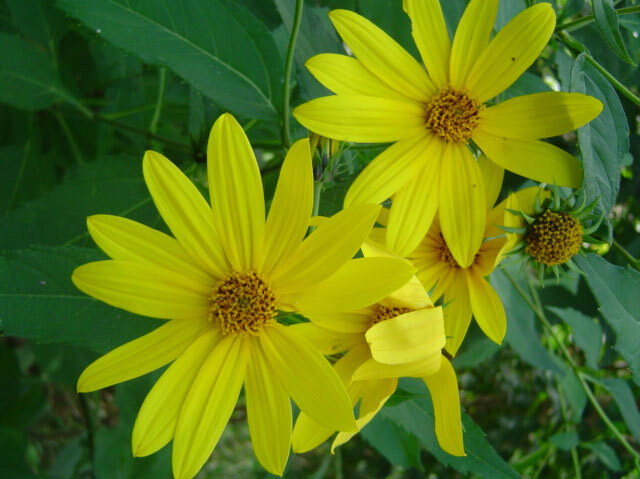 This is the beautiful Jerusalem Artichoke. The tubers of this wild plant are in your grocery store sold under the name “Sunchokes”. Eaten raw, they are crunchy like water chestnuts. Steamed, they have a potato-like consistency. Full of vitamins & minerals, they are a great addition to salads. You can see them growing wild in sunny spots in late summer and early fall. @ 1 pm on 620 am on WKHB radio (Pittsburgh, PA). It’s also live streamed. Contact Faith@greenwithfaith.com to know when there will be a Wild Edibles event near you.